The 2019 Youth Leadership Camp will run from 7:30am on Tuesday 22nd January until 7:30pm on Friday 25th January 2019. This camp will be fully supervised by Youth Support Program Staff from Swan Hill Rural City Council, Swan Hill District Health, Gannawarra Shire Council, Youth Affairs Council Victoria and Robinvale College. Participants of this camp will be aged between 12-25 years old. As part of this camp, participants will attend workshops to build skills in public speaking, peer support, leadership, cultural literacy, teamwork and self reflection. They will also take part in activities such as abseiling, boat tours, snorkeling, swimming, various games, and participants will have some free time each day to spend however they wish within the supervision of Camp staff. The bus will be leaving from Youth Inc (50-52 Campbell Street, Swan Hill) at 7:30am on Tuesday 22nd January. We recommend that participants arrive by 7:15am to leave time for loading luggage etc. The bus will arrive back at Youth Inc at 7:30pm on Friday 25th January. We will be in contact during the trip home with updated arrival times if needed. Participants will not need to bring spending money, as all meals and activities will be paid for by the Swan Hill Rural City Council. If participants chose to bring spending money, this will be their own responsibility. 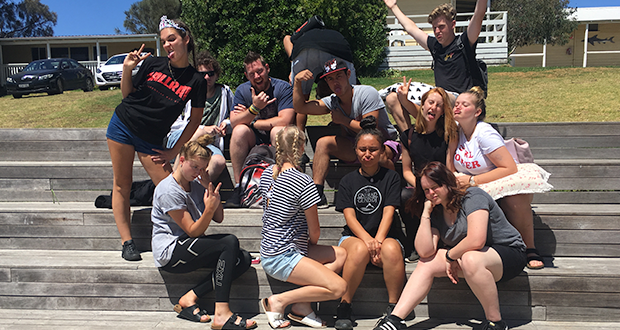 If you need to contact your child or speak to Youth Support Program Staff during the camp, please contact Nellie Patterson on 0419 288 365. Please be aware that we cannot guarantee quality mobile reception.